Are you considering a liposuction procedure? Everyone seems to have an area where fat loves to deposit. Liposuction removes unwanted fat deposits from specific areas of the body. 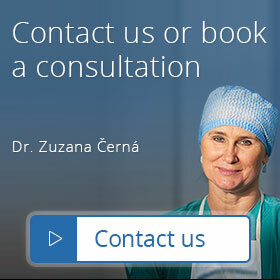 Most people choose to undergo this plastic surgery for the following reasons: ‘stubborn’ areas of fat resistant to diet and exercise; a disproportionate figure – evident in women who are particularly pear-shaped and tend to store fat in the hip area, or men with noticeable ‘breasts’ or ´love handles´– all cases giving rise to a lack of self-confidence and embarrassment; a motivation for a more controlled eating or exercise regime. The ideal candidate for liposuction is at, or slightly below their target weight. Liposuction must not be thought of as an operation to lose weight. However, by targeting specific well-defined deposits of fat, clothes will fit better and the figure is more in proportion. The optimal age for liposuction is 18-45 years of age, as the contractility and elasticity of the skin are vital for successful surgery. However, even with older patients, liposuction may be done with very good results in terms of reducing the fatty tissue volume, but the risk of small subcutaneous uneven patches increases. It is ideal to maintain a constant body weight for 3 months before the surgery. There is a possibility of bruising and swelling to the areas treated and the results may take couple of weeks to disappear. It is advisable to take 1-2 weeks off work, depending on the nature of the job. The operation is performed under a general anesthetic and takes approx. 1-2 hours. Before the operation, the surgeon measures the amount of fat deposits and marks the areas on the patient’s skin with a pen. A very small incision (4-6mm) is used to insert the cannula to extract the fat and sometimes this is closed with a stitch. After the surgery, the patient is dressed in elastic compressive garments provided by our Clinic & are included in the price of operation. Patients stay in hospital overnight and resting is recommended for 3-4 days after the operation. For multiple areas, bruising may be very extensive and there will be some pain and discomfort. Any walking should be restricted to inevitable needs at first, gradually it is possible to do more and in about 4 weeks after the surgery, full physical activity might be resumed. Until your state of health stabilized, our medical staff will check on you every day after the operation, to ensure your healing is going well. Patients should keep the elastic garments on for 3 days after the surgery. On the 4th day, these can be removed for max 30 min to take a shower. During the first month after the surgery, the elastic garments can be taken off only for the time needed for personal hygiene and care. Stitches are removed on the 7-10th day after the surgery. Massages of the operated locations should be performed with a roller several times a day; the technique will be presented in hospital during the removal of the stitches.